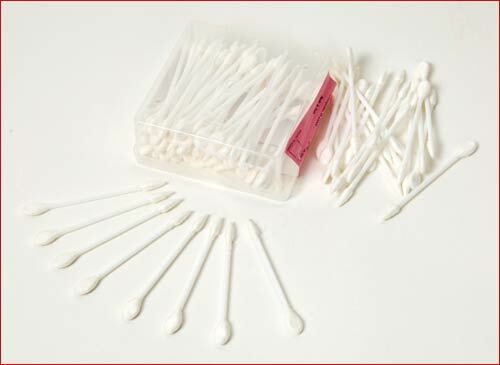 Cotton tipped applicators used in our newborning DVD. Whenever you use paints and sponges you will also need the reborn artists' secret clean-up weapon: craft-grade cotton tipped applicators. These applicators allow you to clean up when paint gets into delicate hard-to-reach areas. These inexpensive little tools have a cotton point on one end and a round ball on the other. The ball works well for clean up on larger areas while the point allows you to get into crevices and other tight places. Use them once and throw them away. They are easy and very effective to use. If you would like to learn how to use these most effectively see our DVD training series, "The Art of Newborning."